Welcome visitor, to Chewbacca Facts! The blog with Wookiee-tastic facts about the Galaxy’s favourite walking carpet, Chewbacca! And remember, never upset a Wookiee. They might tear your arms out of their sockets. This site was created in August 2008, as a parody of Chuck Norris Facts. It was originally hosted on Blogger, but is now has been moved to WordPress. It was originally maintained by both Ragglefraggleking and Hindleyite, who both are still making new facts. 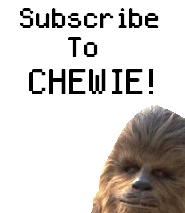 The creator of Chewbacca Facts and his website are not affiliated with Chewbacca, George Lucas, Peter Mayhew, any motion picture corporation, any television corporation, parent, or affiliate corporation. All motion pictures, products, and brands mentioned on this website are the respective trademarks and copyrights of their owners. All material on this website is intended for humorous entertainment (satire ) purposes only. The above content on this website is not necessarily true, however for your personal safety it should be regarded as truth. Your wish is my command. Please check the last sentence.